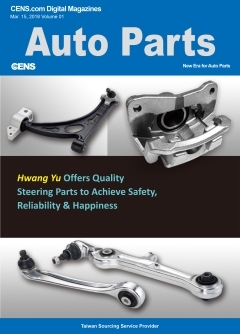 Auto Parts E-Magazine is a monthly buyer guide in e-book format that allows professional buyers from all over the world an easy access to high-quality auto parts suppliers in Taiwan. In addition to abundant supplier information as shown on pages, where hyperlinks and the search function are designed to help users find their needed products and match with suitable suppliers within the least effort, the e-magazine also highlights interesting news stories that can keep readers updated with the latest industry and market trends as reported. The monthly e-magazine is issued every month. 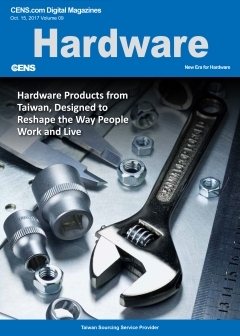 Global buyers looking for quality hardware including hand tools, screws, locks, plumbing fixtures, building materials, furniture hardware and even niche products from Taiwan must read Hardware E-Magazine, a brand new sourcing guide on CENS`s website that is updated monthly and always accessible with a smartphone and tablet to put Taiwan`s hardware suppliers at your fingertips. 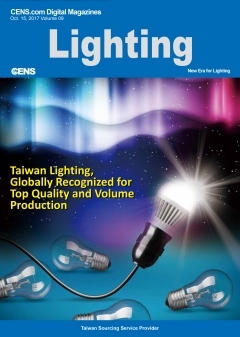 Lighting E-Magazine compiled specifically for overseas buyers, is the biggest and most complete lighting sourcing guide in Taiwan, containing new products from manufacturers and including current, detailed reports on Taiwan`s lighting industry. Furiture has gone a long way as one of the most necessary, common products in people`s daily life; and Furniture E-magazine, which features not only copious information collected by its publisher on dependable suppliers across Greater China but also practical search and hyperlink functions to differ from conventional buyer guides, is compiled to help furniture buyers innovate the way of sourcing. 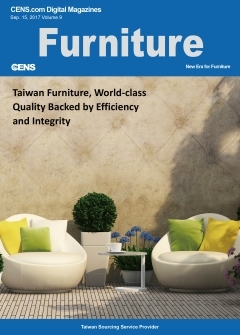 Updated every month and accessible anywhere simply with an Internet connection, this furniture e-magazine can be your most powerful sourcing assistant in the increasingly competitive market. 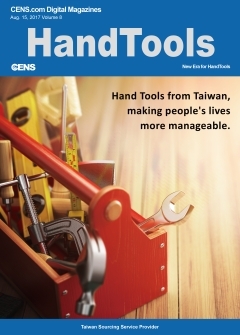 Handtools E-magazine can answer readers why Taiwan has enjoyed high reputations among global buyers as a globally top-5 hand tool supplier, with its extensive information as shown inside on various innovative, practical, marketable and trend-setting hand tools developed by Taiwanese suppliers, as well as in-depth news articles that touch on the development of Taiwan`s hand tool industry. Both hand tool buyers and newcomers who look forward to building succcesful business with smart ways don`t miss the e-magazine, which is published every month to help its readers always stay ahead of business trends. 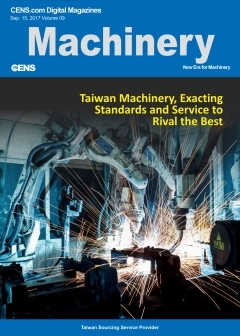 Machinery E-magazine is a product of CENS`s over-four-decade experience in helping Taiwanese machinery and machine-tool builders go globally. Readers can find in the e-magazine a wide spectrum of machinery and machine tools that feature high price-to-performace ratios, functional designs, user-friendly HIM interface, excellent durability and outstanding performance. With this e-magazine in your mobile Internet devices, sourcing and doing business in the global market can be made easier and more efficient without glitch. This useful digital buyer guide is issued every month. With gardening and home improvement increasingly popular lesuire activities among people who tend to pursue better quality of lifestyles in modern times, Gardening & Home Improvement E-magazine, which introduces a wide range of tools, machinery and accessories for gardening and home improvement work and contains informative news reports on market trends, is the best guidebook for global buyers to explore the tremendous business opportunties. The e-magazine is updated every month and free of charge. 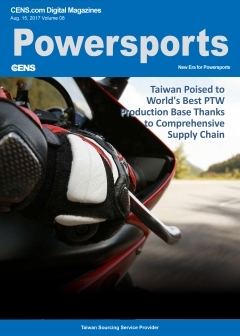 Powersports E-Magazine is compiled for global buyers looking for suppliers in this niche segment. Buyers of off-road/recreational/utility vehicles, equipment, parts, accessories and tools are drawn to this guide containing current content and dedicated suppliers in Greater China. Issued every month, the useful buyer guide in e-book format that can be downloaded for free to your smartphone and tablet PC helps you to ride on market trends to blow away the competition. .
As Taiwan has played an irreplaceable role in the global supply chain of electronic products including electronic components & parts, consumer electronics & electrical products, computer hardware, software, peripherals, communication products and many others, taking advantage of Electronics & Computers E-magazine to build sustainable businesses with reliable Taiwanese suppliers is your smartest way to stay competitive in the segment, where efficiency always matters. 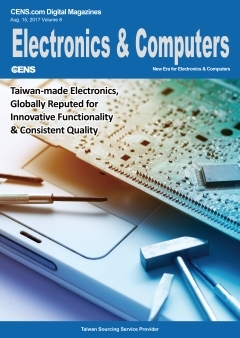 Containing abundant information on Taiwan`s high-quality suppliers with their innovative products and updated every month, this e-magazine is designed to help you always keep up with new trends in the industry. 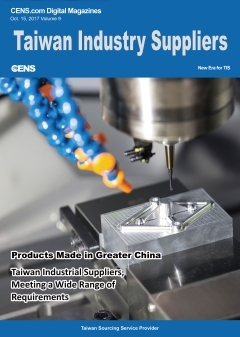 TIS E-Magazine provides global buyers an effective, easy access to total industrial solutions by Taiwanese manufacturers and processing service providers from different sectors, for this sourcing guide in e-book format contains increadibly extensive information on nearly all kinds of products and services for industrial use, including forged, lathed and milled parts, plastic and rubber parts, wire-formed parts, hydraulic systems, testing and inspection equipment through CNC machining service, contract manufacturing service to solar cells, wind turbine parts, aircraft parts, high-precision parts, whole-plant turnkey solutions and many others. Buyers who expect to keep competitive and profitable in their sectors can`t miss this e-magazine, updated monthly on CENS`s website. Market demand for medical and healthcare products is increasingly strong in modern times, when population aging is a growing concern worldwide. 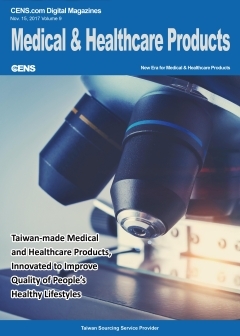 To tap this considerable market, buyers can`t miss Medical & Healthcare E-magazine, which introduces top-caliber suppliers in the segment in Taiwan, whose products that are mostly developed using advanced electronic and ICT technologies are designed to improve people`s healthy lifestyles and potentially marketable worldwide. It is published every month. 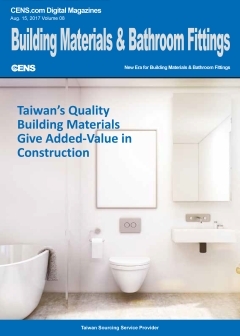 Building Materials E-magazine is one of only a few e-magazines that focus on Taiwan`s high-quality suppliers in the sector. As emerging countries, where ever more public work projects are carried out to fuel market demand for building materials, are regarded as a major drive for the global economy, buyers zeroing in on the potentially promising market can`t miss this useful buyer guide, updated every month and free of charge. 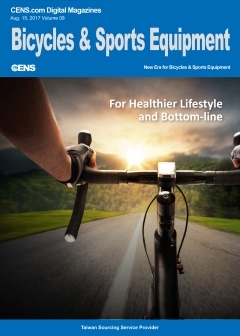 With cycling increasigly popular among people worldwide for reasons of health and environmental protection, Bicycles & Sports Equipmment E-magazine is compiled specifically for global buyers who look for high-quality bicycles and sports equipment made in Taiwan. 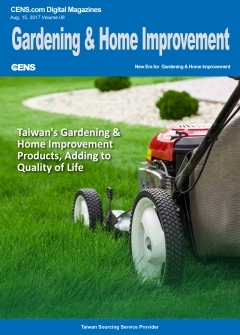 Since the island has been renowned for its strong presence in the segments, this e-magazine that contains abundant information on Taiwanese suppliers of bicycles, bicycle parts and accessories and sports equipment and related parts, can help you secure the most reliable source of your needed products to win bigger shares in your target markets. Thanks to Taiwan`s astonishing presence in the global supply chain of yachts, especially megayachts and superyachts, the island`s sector of marine hardware also enjoys high manufacturing reputation among global buyers. 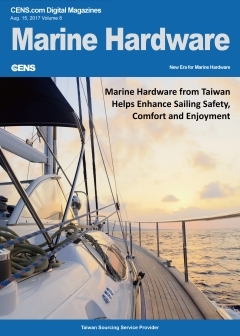 For buyers interested in taking a closer look at and building partnerships with Taiwanese marine hardware makers, Marine Hardware E-magazine that introduces a number of competent suppliers of this kind can be the best sourcing guide. It is updated every month. To global buyers looking for reliable sources of high-quality fasteners in either standard or custom specifications, Fastener E-magaine can be the best tool. 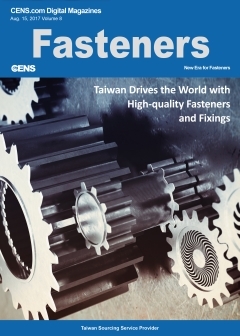 The e-magazine contains information on suppliers of literally all fastener and fixing products, from screws, bolts, nuts, washers to anchoers, rivots, clamps, nails, pins, hooks and various industrial parts, while being designed with user-friendly functions that faciliate the searching of readers` needed items and suppliers. Just download it (for free) to your smartphone and tablet, and enjoy the bennefits it brings you to shore up your businesses. The e-magazine is published every month. GENPLUS AUTO PARTS CO., LTD.
TZYH RU SHYNG AUTOMATION CO., LTD. BRILLIANT LAKE INDUSTRY CO., LTD.